Easy Physical LevelSome walking over short or flat distances. Some trips may include cycling options. Some are wheelchair friendly (check for individual trips). Some cruises. Incredible experience sailing on the Grand European tour from Amsterdam to Budapest! Just wonderful! The tours were interesting, and most allowed for adequate free time to explore the areas visited. But the staff! Beyond compare. Along with a lot of other passengers, I was amazed at how uninhabited and quiet vast stretches of Russia are en route from Moscow to St. Petersburg. My wife and I enjoyed the big cities on either end of the trip, but the peaceful areas, the huge lakes and little villages, are what we'll remember the most. As always, Viking was a great way to see the rivers (and lakes, in this case). We've been on several Viking cruises but this may have been the most memorable. Arrive in Amsterdam, then transfer to your ship. * After boarding, the afternoon is yours to relax or explore the city on your own. If your arrival schedule permits, you may wish to visit the Rijksmuseum, or the van Gogh Museum next door. This morning we sail to Kinderdijk, a UNESCO World Heritage Site, for a tour of this ingenious network of windmills and other flood management devices. You learn why the windmills were built and see how they work, plus you enter a working windmill for a tour of its mechanisms and living quarters. Return aboard for lunch and an enjoyable afternoon of Dutch diversions: sample handcrafted Dutch cheeses and jenever, a distilled juniper liquor, and try your hand at sjoelen (Dutch table shuffleboard). We cruise through the night. You have a morning tour of Cologne, including a visit to the Dom, Germany’s largest cathedral and a UNESCO World Heritage Site. After your tour, spend the rest of the day and evening exploring Cologne on your own: There are Roman ruins, interesting neighborhoods and wonderful museums like the Fragrance Museum and the Chocolate Museum. As always, your Program Director can help you plan your free time. Lunch and dinner are served aboard; we depart at midnight. Cruise past hilltop castles along the Rhine, stopping in Koblenz to visit Marksburg Castle, the only Rhine fortress never destroyed. After your tour, continue cruising this stunning stretch of the Rhine, a UNESCO World Heritage Site. Pass the Lorelei Rock, which marks the river’s narrowest point and is named after the legendary Rhine maiden who lured sailors to their demise. Lunch and dinner are served aboard your ship. The morning is spent sailing along the beautiful Main River as it winds its way through the Spessart region, home of the actual Snow White. After lunch, we stop in Miltenberg, known for its half-timbered houses and Germany’s oldest inn. Join our walking tour that concludes with free time for you to explore. Back on your ship, learn about the region’s glassblowing traditions during a live demonstration. We sail through the night to Würzburg. After breakfast, tour Würzburg’s Bishops’ Residenz, one of Germany’s largest and most ornate baroque palaces and a UNESCO World Heritage Site. Then enjoy scenic afternoon cruising. Or, instead of touring Würzburg, join an optional full-day journey along Germany’s “Romantic Road” to Rothenburg, which features a turreted city wall and impressive Gothic and baroque architecture. Rejoin your ship for dinner. Sail through the morning; after lunch we visit Bamberg, with its medieval city center, a UNESCO World Heritage Site. Your walking tour includes a visit to the magnificent 11th-century cathedral, reworked in late Romanesque style in the 13th century, and the picturesque city hall built on a tiny island in the middle of a river. Take some free time to enjoy Bamberg and perhaps try some of the town’s distinctive smoke-flavored beer before returning aboard. After breakfast, disembark in Nuremberg and visit the ruins of Zeppelin Field, the Nazi parade grounds of the 1930s; then see the Palace of Justice, site of the infamous Nuremberg Trials. 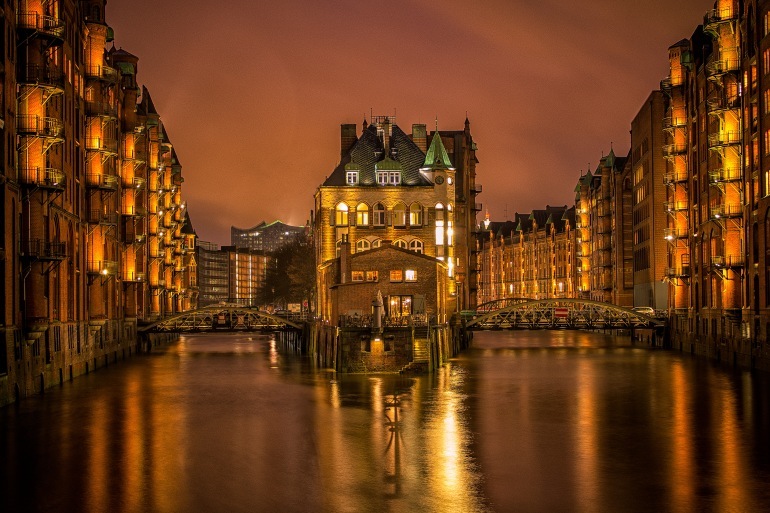 Spend free time exploring Nuremberg’s Old Town, or join an optional World War II tour that includes the illuminating Documentation Center Museum. We depart just before dinner. Arrive in Regensburg midday. After lunch, tour this wonderfully preserved medieval city, a UNESCO World Heritage Site, including structures dating back to Roman times. Discover many 13th- and 14th-century patrician houses and see the splendid St. Peter’s Cathedral. During free time, visit the Alte Würstküche (Old Sausage Kitchen), Germany’s oldest restaurant. Dinner is served aboard before our evening departure. Arrive this morning in Passau, at the confluence of the Inn, Ilz and Danube Rivers. Your guided walk along the town’s narrow streets takes you through Old Town and past traditional patrician houses. You’ll see the New Bishop’s Residence and visit the impressive baroque St. Stephen’s Cathedral with its ornate interior. Inside, you are treated to a special concert played on the 17,000-pipe organ, considered Europe’s largest church organ.† Enjoy lunch aboard your ship, and return to the city for further exploration on your own before departing. We cruise through the night. †Passau organ concert is only available May 1-October 31 and is closed on Sunday. After breakfast, visit the abbey at Melk, a 900-year-old Benedictine monastery featuring Austria’s finest Italian baroque architecture. Rejoin your ship; cruise through the spectacular Wachau Valley this afternoon. Before dinner, you have time to explore the time-honored town of Krems and see the Steiner Tor, the last remaining city gate, or sample some local vintages from this famous wine-producing region. Today we tour the Austrian capital of Vienna. Ride along the Ringstrasse, which replaced the city walls in the mid-19th century. See some of the city’s baroque architecture, including the world-famous Opera House, St. Stephan’s Cathedral and Hofburg Palace. Return to your ship for lunch. The rest of the day is yours to further explore. As always, your Program Director can help you plan your free time. Or you may take an optional tour to Schönbrunn Palace, the “Versailles of Vienna,” erected in 1778 and graced by a number of formal gardens, Grecian statuary, the world’s oldest zoo and Roman ruins. After dinner, relax or enjoy an optional classical concert. Enjoy a day at leisure in Vienna. Perhaps see an unrivaled collection of Old Masters and other spectacular art treasures at the Museum of Fine Arts, or visit the Albertina, with the most valuable graphic arts collection in the world. Maybe ride the Riesenrad, the world’s oldest Ferris wheel, or go shopping for high-quality gifts inspired by the turn-of-the-century arts movement. A cup of coffee or tea and a slice of exquisite sächertorte are a must for any afternoon in Vienna. Later, rejoin your ship and sail for Budapest. The Danube River divides Hungary’s capital city into the once separate towns of Buda and Pest. Explore both sides, starting with Pest’s National Opera House and historic Heroes’ Square. In Buda, walk along Castle Hill to Fishermen’s Bastion and Matthias Church. Enjoy lunch aboard your ship, with the rest of the day to explore on your own. Return to your ship for a traditional Hungarian dinner. After breakfast, disembark and proceed to the airport for your return flight. * Or, extend your journey with 3 nights in Prague, Czech Republic, where you tour Old Town landmarks and Prague Castle. Suite size: 445 sq. ft. Sailing our most popular itineraries, our award-winning Viking Longships showcase innovative engineering, streamlined design and understated elegance for the most comfortable river cruise experience available. For any cruise/land booking, whether under deposit, partially paid, or paid in full and air-inclusive packages paid in full, the following travel agent or guest-requested situations are considered cancellations and penalties will apply as noted below: changes to departure date; substitutions of itinerary; substitution of another person for original booked guest(s); or changing to a promotional fare. All cancellations must be in writing. For all air-inclusive packages cancelled after issuance of an airline ticket, the air portion of the refund, if any, will be processed only after the return of airline ticket to Viking. The following cancellation charges will be assessed for all written cancellations received prior to departure up to the scheduled time of departure. Cancellation received | Following charges will apply: (Broken out by days before departure) 121 days or more is $100 per person | 120-90 days is 15% of full fare | 89-60 days is 35% of full fare | 59-30 days is 50% of full fare | 29-0 days is 100% of full fare. Full Fare is defined as the full cost of any cruise, land or air component purchased from Viking.